Make sure to take a look at Matt’s Video talking all about the book. He did such a beautiful job photographing all of our recipes! I am sharing one of my recipes in the book today called Inside Out Chicken Pot Pies. It is a breeze to put together and the whole family loves it. I’ll have a video on Goodbite.com soon demonstrating this recipe! 1. Preheat oven to 400 degrees F. Carefully unfold pastry onto a lightly floured counter. Cut into 9 equal size squares and place onto an ungreased cookie sheet. Bake for about 15 minutes or until golden brown. Set aside. 2. While pastry is baking, whisk together the soup and milk in a large bowl then transfer to a large skillet over medium heat. Add chicken, vegetables and seasonings. Break up chicken pieces with back of fork. Cook and stir until heated through, about 5 minutes. 3. Place puff pastry squares on serving plates and spoon chicken gravy over top. Garnish with sprigs of rosemary if desired. Want to win a copy of the Goodbite Cookbook? 3 winners will be chosen. 2. Contest ends Thursday November 3nd 8am PST. Winners will be chosen via Random.org and be notified by email. “What is your favorite quick and easy meal to prepare?” = A big produce drawer salad with everything I’ve got in the drawer topped with edamame and homemade salad dressing. I have lots of favourite meals that are quick and easy to prepare! If I had to choose one however, I think it would definitely be the ‘breakfast-for-dinner’ theme! Making homemade pancakes that are simple and quick, as well as frying up a couple of eggs along with a bowl of fruit on the side! My favorite quick and easy is fajitas. Easy and delicious. And, I’m seriously craving Mexican food right now. Congrats, that’s exciting! If I’m in a rush, I just make pasta and throw in a heap of frozen veggies. Not exciting, but the ingredients are always on hand. 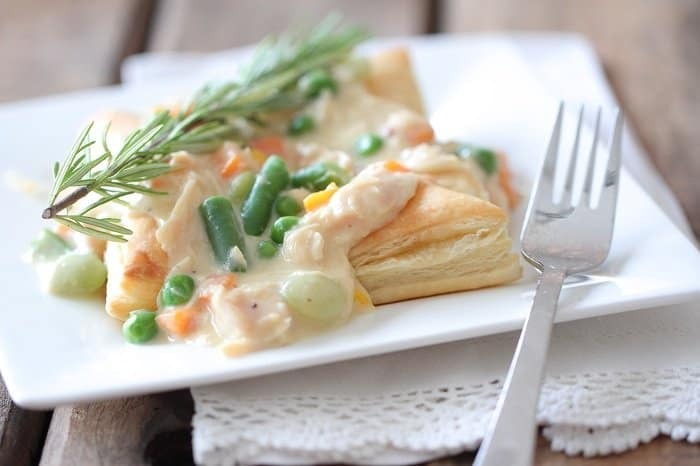 I’ve seen a few chicken pot pie recipes on the blogs this week, they look so comforting and this one is no exception! Quick and easy meals – soups and chilis! In our home I feel like dinner is always rushed during the week. Our top go to meals are hamburgers on the grill and Brinner (aka breakfast for dinner). Something Mexican! Quesadillas, nachos, tacos – all depending on what we have on hand. It’s always delicious, though. genius! i actually love pot pie but never make it because of the pie crust thing. no excuses now! My favorite quick and easy meal is to saute up mixed veggies using non stick spray, chicken broth and seasonings. Then add cooked whole wheat rotini, sliced grilled chicken and 2% cheese with a sprinkle of Reduced Fat Parmesan Cheese on top…cheesy, delish goodness and healthy! I usually, when I have the time, make homemade gnocchi and freeze it. Then when I need it I boil it up with some frozen vegetables- YUM! My quick and easy favorite is potato soup! This looks so tasty. My favorite quick and easy meal is probably tacos. Or BLTs! We like to roast salmon fillets and do a veggie side on busy nights. Quick and ready in under 30 minutes. Love this idea! I just made my first chicken pot pie and can appreciate the ease of this inside out one! Migas, thanks! Hope you have a great day! Breakfast Dinner is our easy go to meal. This pot pie looks delicious! My favorite quick meal is open-faced English Muffin sandwiches with pesto mayo, ham, cheese and tomatoes. I also love pot pie! My quick fix meal is a couscous vegetable medly. Fried rice, make sure I cook rice in my rice cooker before work. Then when I come home I dump pre chopped onions or frozen veg pack them mix in egg and soy sauce, some lunch meat or spam or any left over meat on hand. My favorite quick and easy recipe is Cranberry Chicken. Only need four ingredients! Mine would have to be homemade chicken and noodles, with homemade biscuits and a pan of fried potatoes. My easy go to meal! Has to be pasta! Any kind of whole wheat pasta with veggies and a little sprinkling of good parmesan cheese. Spaghetti and meatballs is always a favorite with my family! Turkey and cheese paninis! Amazing how much better a sandwich tastes after being warmed and toasted! My favorite quick meal is a fried egg BLT sandwich on rye bread. Delicious, and good for you! I make a quick chicken quesadilla casserole. 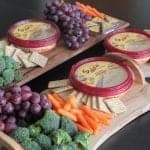 The kids love it & it’s super cheesy! quick and easy ~ tacos! I would love to win a new cookbook and get new ideas!! I love chili with sweet potatoes and black beans in the crockpot! i love to make salsa chicken, my family gobbles it up! what a great idea of inside out chicken pot pies! i love this! my quick fix dinner is taco salads! healthy and delicious. Tomato soup and grilled cheese!!! My quick and easy meal is spaghetti! My father-in-law cans spaghetti sauce in medium size jars, so it’s the perfect amount for my husband and me. All I have to do is cook the noodles! This chicken pot pie looks wonderful! One of my favorite quick & easy meals to prepare are club sandwiches…love the layers of turkey, bacon and lettuce. Ooo, a good one is tuna croquettes. Couple cans tuna, some green onion, bit of mustard, s & p, breadcrumbs and a beaten egg to bind. Shape into patties, press into some more breadcrumbs, and pan fry. Serve on a big salad with a glass of wine. Yum! I love quick crock-pot meals. One of my favorites is stew meat, one can of cream of mush soup and one can of french onion soup. That is it! We eat it over egg noodles with some sour cream and it is so yummy. My picky kids love it! My favorite quick and easy (and the one I will always come back to) TACOS! I love tacos… Mr. Ortega, please marry me. Now that I have that confession out of the bag on public display, I will sleep easy tonight. i love good ole’ spaghetti with meat sauce! We love grilled turkey and swiss sandwiches. 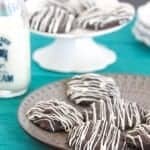 They are always a huge hit. Tacos made with a mixture of black beans, diced tomatoes, onion, cilantro, and uncle ben’s ready-rice. Scoop up the filling into a flour tortilla (or big fritos!) and enjoy! 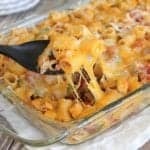 I make a quick and easy chicken casserole using sour cream, cream of whatever I have on hand soup, chicken, and crackers (topping) served over rice or veggies – my family can never get enough of it.